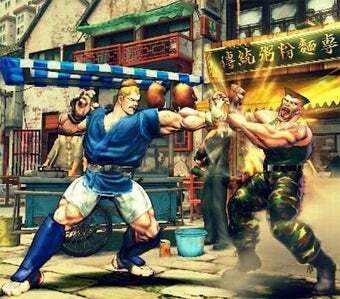 PC gamers eager to get their hands on Capcom's Street Fighter IV will have to wait until this summer, with Capcom pondering the possibility of bundling the game with arcade controllers at retail. Capcom vice president of business development and strategic planning Christian Svensson, speaking to VideoGamer.com, names summer as the target release date for the PC version of the fourth game in their venerable fighting franchise, while revealing plans to possibly deliver the game to store shelves bundled together with Mad Catz's highly sought-after arcade controllers. "We rolled out our Mad Catz sticks and pads, and the interesting thing to note about all of those sticks and pads is they all work with PC as well. We may, and I'm in talks with Mad Catz to figure out how can we actually do some bundles of pads and Street Fighter IV PC." Hopefully the damn sticks will actually be available once the summer rolls around.